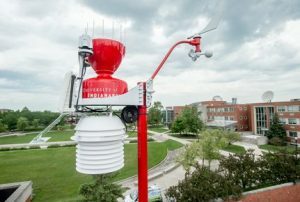 Smith Mall near Schwitzer Student Center, 56 p.m.
Join us as we dedicate UIndys new WeatherSTEM weather stationa result of UIndy faculty and student research for bringing new technology to monitor and research weather patterns and atmospheric conditions. Made possible through the support of UIndy alumnus, Bob Green, the gift is in honor and memory of Dr. William Gommel, professor of Mathematics & Earth-Space Science from 1965 to 1992. Registration requested.